We all know our dogs are brilliant but can they cure cancer too? Well, in so many ways – yes! The fact is, if your dog has cancer there’s a good chance that you could both play a role in finding better ways to diagnose, treat and ultimately cure cancer in pets and people! 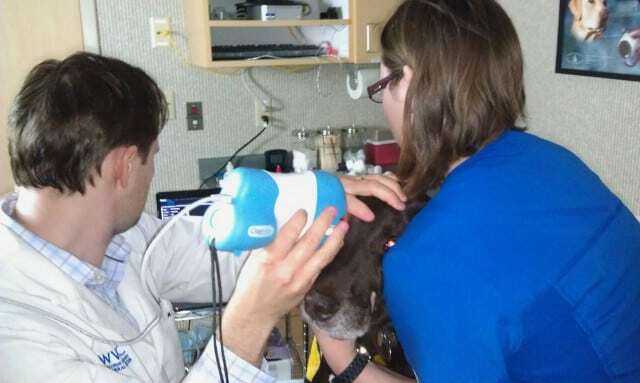 One way to help science get there is by participating in veterinary oncology clinical studies at institutions like Colorado State University’s Flint Animal Cancer Center, home of the One Cure initiative to find a cancer cure for pets and people. 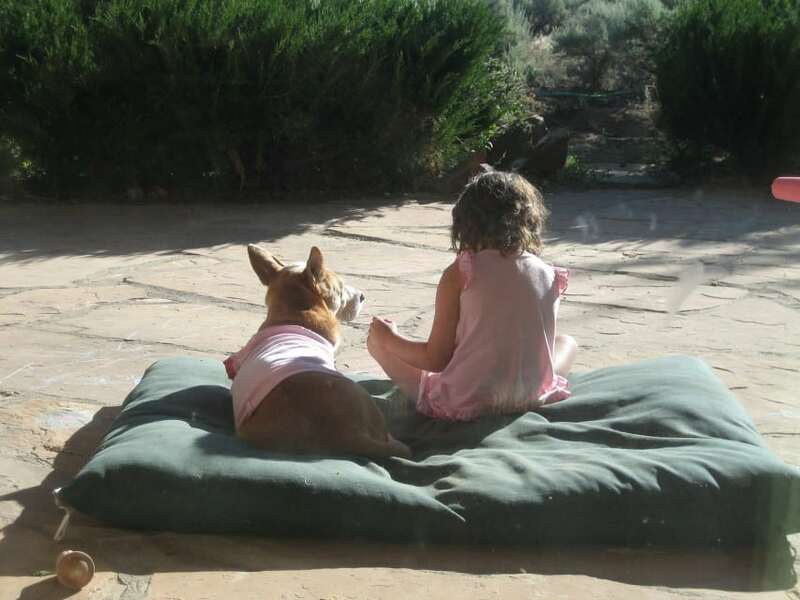 Eradicating cancer often seems like a hopeless battle but the good news is that our pets may hold the answer in their paws. Dogs are at the forefront of exciting new cancer discoveries because dogs and humans are 85% genetically identical – almost 400 diseases affect both species in the same way, including cancer. Since dogs age much faster than humans, when they’re diagnosed with cancer the disease will progress at a faster rate than it does in humans. This enables veterinary oncology scientists to study the effects of new diagnostics, treatments and drugs in a fraction of the time. Those findings are then used to help cancer scientists in human medicine uncover better ways to treat cancer in people. This cross-collaboration is the foundation of “comparative oncology” or “translational medicine,” and clinical trials are where all the exciting discoveries begin. To study how cancer behaves in pets, clinical trials are held at veterinary research institutions like the Flint Animal Cancer Center, where each year about 200 canine participants enroll in approximately 30 different clinical trials. Clinical trials are the first steps to getting promising new lab-based cancer research into the real world. They’re a win-win for everyone because the dogs receive cutting-edge cancer diagnostics and therapies for very little, if any cost and scientists can learn more about the cancer and potential new treatments. By studying clinical trial results, veterinary oncologists are helping to shorten the time and cost of delivering these treatments to more pets. As a bonus, people will benefit too. That’s where the Flint Animal Cancer Center’s One Cure initiative steps in. One Cure brings together human and veterinary oncology professionals to mutually study how treatment of pets with cancer can improve therapies for human patients – and lead to “one cure” for both pets and people alike. If your pet has cancer and you want to help further cancer research, why not consider participating in a clinical trial at your nearest veterinary teaching hospital? Clinical trials are an affordable way to get the newest cancer therapies. They keep your pet’s quality of life as the number one priority and you can withdraw at any time. To learn more, check out the Flint Animal Cancer Center’s Clinical Trials FAQ’s page. 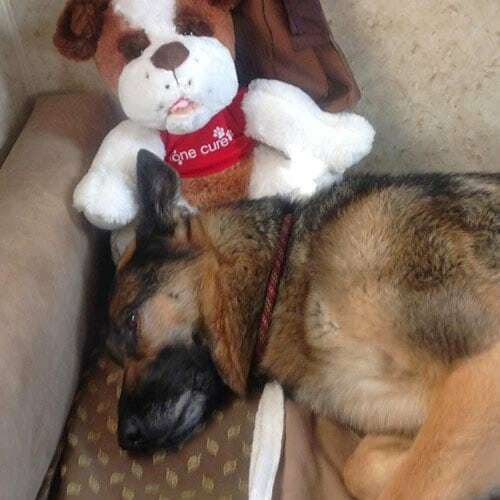 And if you don’t currently have a pet with cancer, consider making a gift to the One Cure program, which helps to fund and support clinical trial studies at the Flint Animal Cancer Center, a pioneer in veterinary oncology and the largest facility in the world that treats and studies naturally occurring cancer in companion animals.